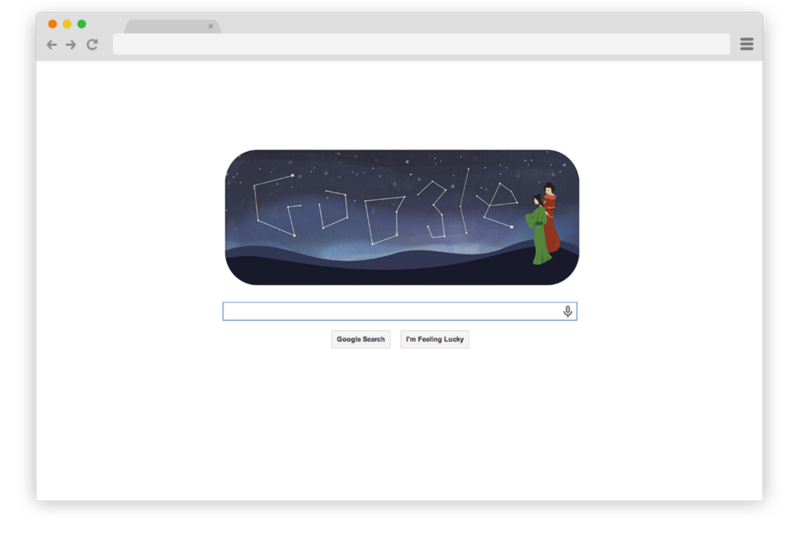 Doodles are the fun, surprising, and sometimes spontaneous changes that are made to the Google logo to celebrate holidays, anniversaries, and the lives of famous artists, pioneers, and scientists. 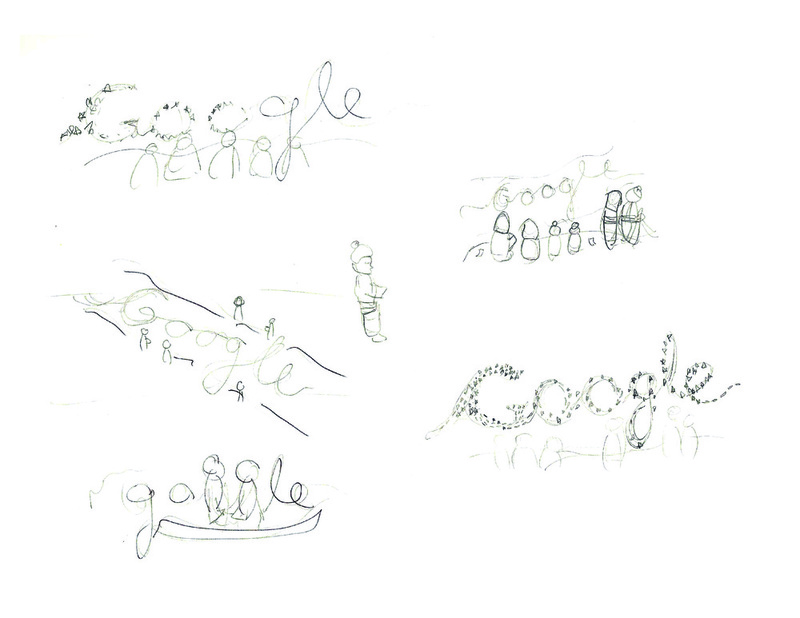 I was lucky enough to be able to design one during my internship at Google. 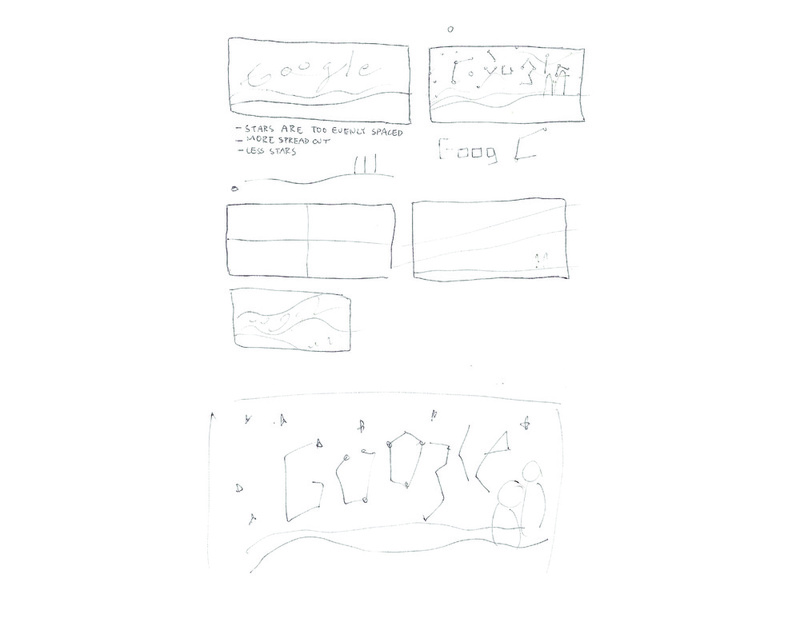 Designing a Google Doodle has been on my designer bucket list ever since I could remember. I reached out to the Doodle team and was lucky enough to be given a small side project during my internship. 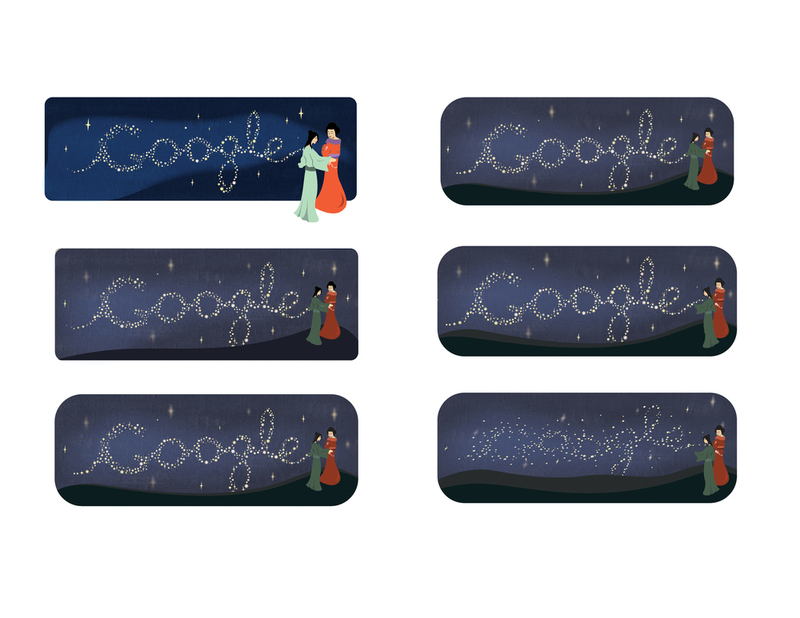 The doodle I designed was for the Tanabata Festival in Japan. This holiday celebrates the legend of Vega and Altair, two stars who are madly in love but separated by the vast Milky Way. Legend has it that these two lovers are only given one day throughout the year to be together, that day being the Tanabata, or "evening of the seventh." The first approach is to represent the Tanabata Festival for its modern day festivities. People write wishes on paper and hang them on bamboo trees. The streets also fill up with large, hanging lanterns and streamers to represent the fabric of the weaving princess. The second approach was to illustrate the traditional story of the Tanabata Festival. The legend about Vega and Altair, two stars who are madly in love but separated by the vast Milky Way. 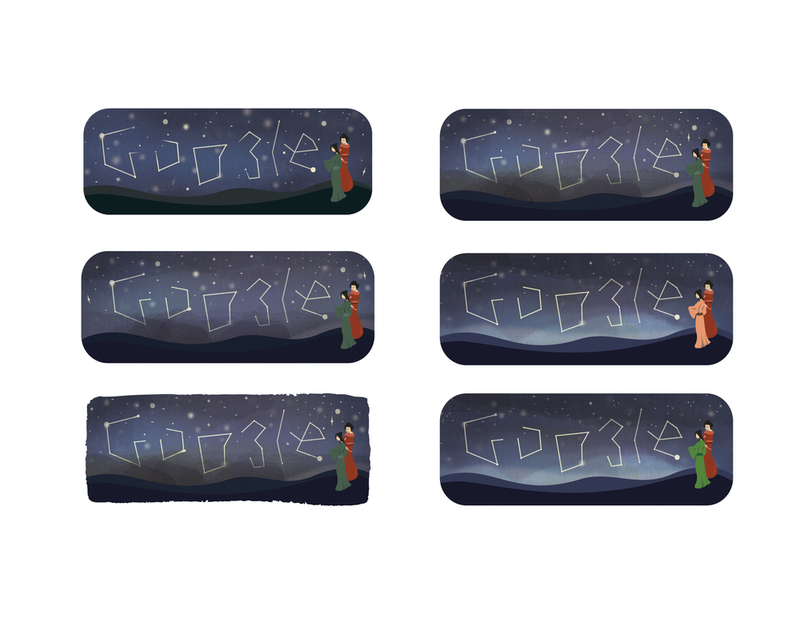 I wanted to incorporate the two lovers and the stars in the doodle to really portray the story. This is the final doodle that I designed. After going through different designs, iterations, and tweaks, I am very happy with the final design. I was able to illustrate the galaxy idea, incorporating the stars, the lovers, and the luminous night sky as well as adding subtle woodblock layers to add texture. Unfortunately, there were some complications that were out of the team's hands in launching my doodle, so a fellow Doodler designed another one. 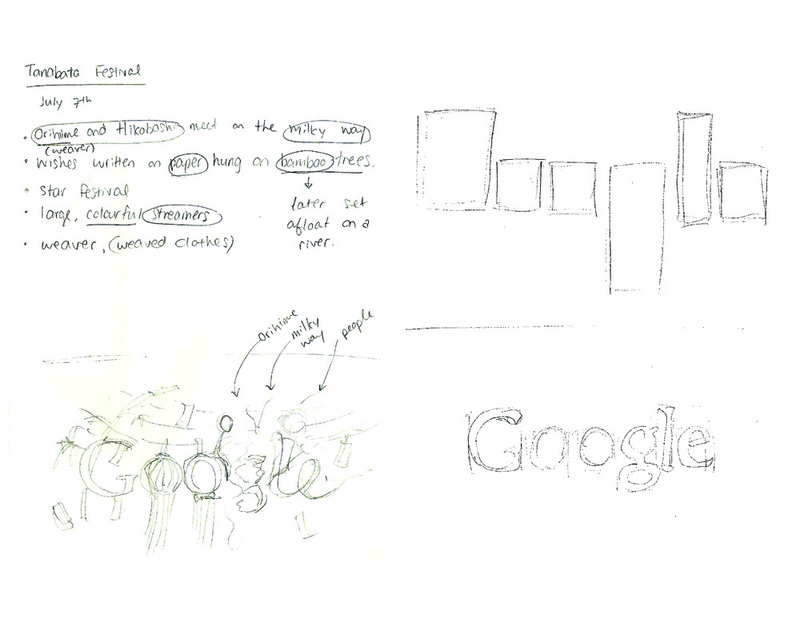 However, my doodle was able to influence the actual doodle with a similar concept that launched. Regardless of the complications, the experience doing this project was still well worth it!